CUDOS @ MQ runs a major research program in fundamental and applied photonics developing next-generation devices for use in a variety of applications. Our current research themes are listed below. Inscribing multi-wavelength & narrow linewidth waveguide lasers in rare-earth doped glasses using femtosecond laser pulses for application in gas sensing, spectroscopy, optical communication, Terahertz generation & molecular fingerprinting. Removing 'light pollution' from astronomical observations with laser written chips by integrating photonic lanterns, pupil remappers and waveguide Bragg-gratings. Using photonics to explore the exciting applications of quantum science. 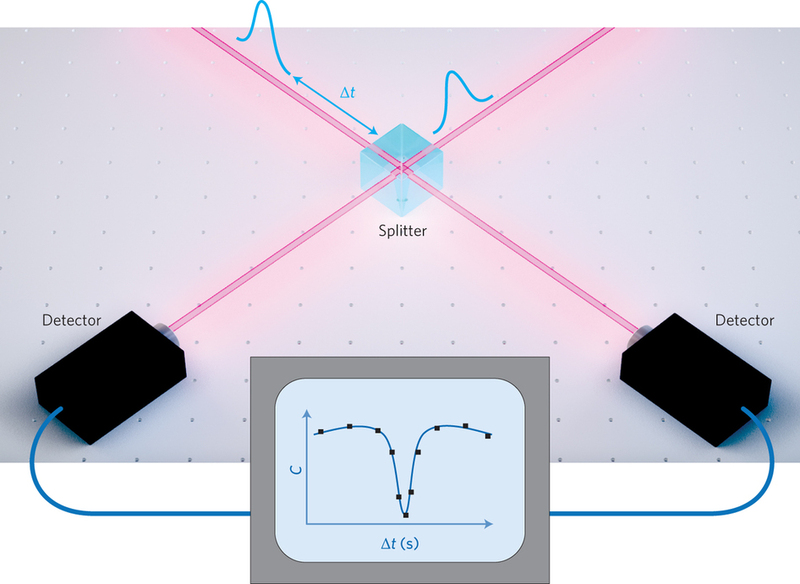 Creating chip-scale devices to generate useful polarisation-entangled photon pairs & single photon sources. Optical condensed matter science devoted to optical phenomena on the nanoscale in nanostructured metal systems. Applications may include sensing, biomedical diagnostics, nanoantennas for light-emitting diodes, etc. Targeted nerve stimulation via infrared laser light is an ongoing research stream within CUDOS @ MQ. Possible application includes fabricating medical prosthetics with enhanced functionality. Fabricating laser written waveguides in nonlinear soft glass which act as optical isolators based on the Faraday effect. Understanding material modification by high intensity laser pulse using Raman spectroscopy. Also investigating optical characteristics and applications of plasmonic based structures. Utilising femtosecond laser beams to induce refractive index modulations in the core of optical fibres to create various types of Bragg-gratings used in sensors & fibre lasers. Taking advantage of the 3D capabilities of the direct-write platform to fabricate a multitude of application based devices. These include directional couplers & birefringent waveguides. Recent PhD student Tom Meany spotlights in the Macquarie University Research Excellence Awards. Dr Alex Arriola joins CUDOS @ MQ as a new Astrophotonics post-doc. He comes to us from Heriot-Watt University, Edinburgh Scotland. Recent PhD student Tom Meany starts a prestigious post-doctoral position at the Toshiba's Cambridge Research Labs. PhD student Zach Chaboyer awarded a position at the Marie Curie Scientific School on quantum technologies in Italy. Dr Martin Ams has been invited to speak at the forthcoming 2014 OSA Conference on "Optics and Photonics for Energy and the Environment"